Zebra presents the new TC52/TC57 mobile computer series. These brand-new handheld computers are based on the Android platform and provide enterprise-ready capabilities. A high-performance processor and extensive business features make the Zebra TC52/TC57 handheld computers an ideal choice for various industries, such as retail, field service or delivery services etc. The 5-inch HD multi-touch display is suitable for indoor and outdoor applications. Despite of the compact form factor, the smart PDAs are packed with cutting-edge technology and create added value for your company. The TC52/TC57 series’ handheld terminals come with a stylish look but are also ready for demanding tasks. 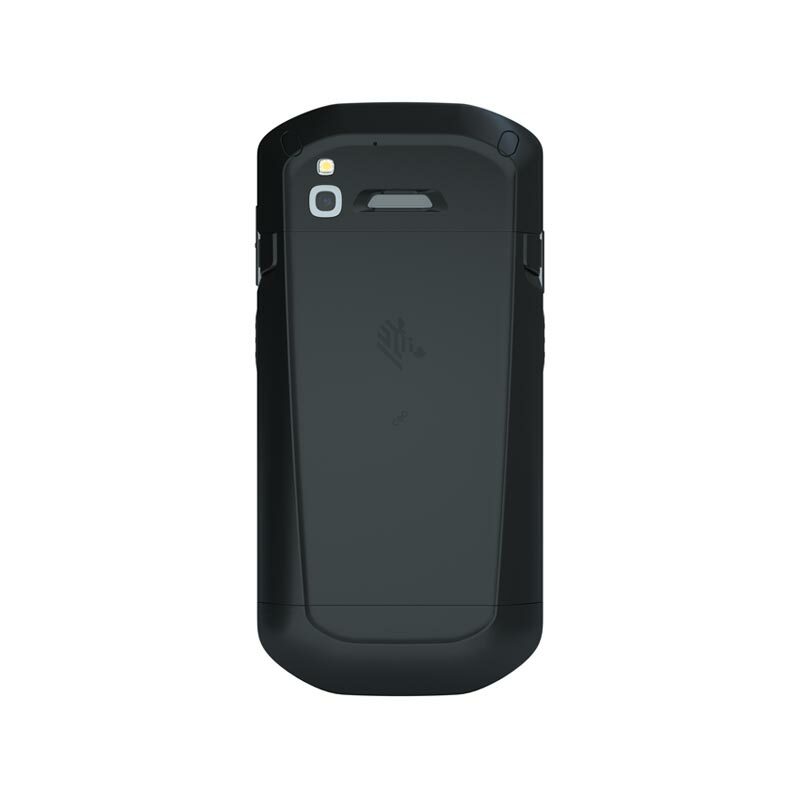 Their sturdy one-piece design as well as the Corning Gorilla Glass display and scanner window ensure high durability. The devices are sealed against the ingress of dust and water according to protection class IP67 and IP65. They survive multiple drops from a height of 1.2 m to tile over concrete. The TC52 and TC57 mobile computers come with a 2.2 GHz Qualcomm Snapdragon 660 octa-core processor. They provide 4 GB RAM and 32 GB Flash memory which can be extended by up to 256 GB via microSD card. The sophisticated devices are equipped with the Android 8.1 Oreo operating system and include support for the next two Android versions. 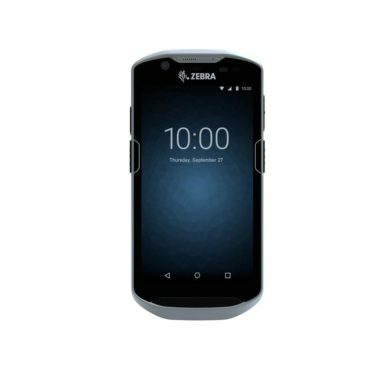 Android provides a well-known interface so that there is no extra training required to operate the Zebra TC52/TC57 series data terminals. It is possible to deactivate and reactivate Google Mobile Services (GMS) according to needs. Zebra’s Mobility DNA software architecture includes Mobility Extensions (Mx), which transforms the Android consumer version into an enterprise-ready platform providing high-class security and management options. Additionally, Mobility DNA enables optimized communication between devices, improved voice communication and data input and smart energy management. It allows the creation of custom business applications and provides a whole software ecosystem for business device deployment. Professional data capture is essential for many enterprise applications. The Zebra TC52 and TC57 handheld computers are therefore equipped with a high-performance imager, enabling capture of 1D and 2D as well as Digimarc barcodes off paper or screen. Omnidirectional point-and-shoot barcode scanning ensures simple and user-friendly operation. The integrated barcode scanner excels with an exceptional field-of-view and an extraordinary scan range from 4.5 cm to 81.3 cm (20 Mil. codes). With Zebra’s SimulScan software it is possible to scan multiple barcodes at a time as well as text fields, checkboxes and signatures. Additional data capturing features are the two cameras, a 13-megapixel rear and a 5-megapixel front camera. They can be used for high-quality video calls, documentation or remote technical support. 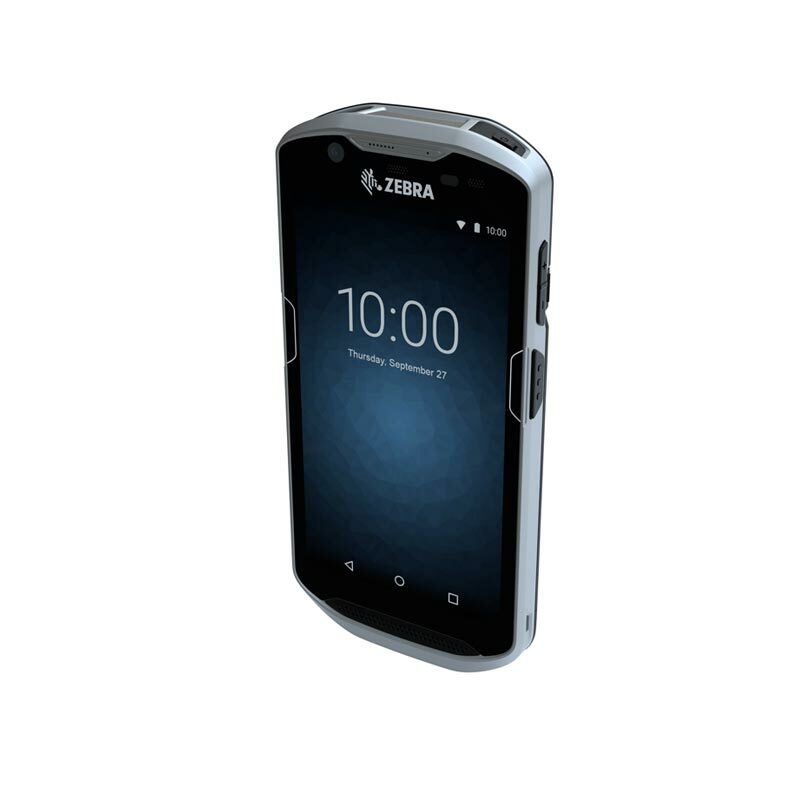 The Zebra TC52/TC57 series’ PDAs are made for convenient use. Their 5-inch multi-touch display with optical bonding technology provides enhanced readability indoors or outdoors. Brightness adjusts automatically to ambient light. The versatile data terminals TC52 and TC57 can be operated with fingers or stylus pen, they respond to operation with gloves and can be used even when the display gets wet. With Zebra’s Active Edge Touch Zone, virtual buttons can be created for direct access to applications that are frequently used. 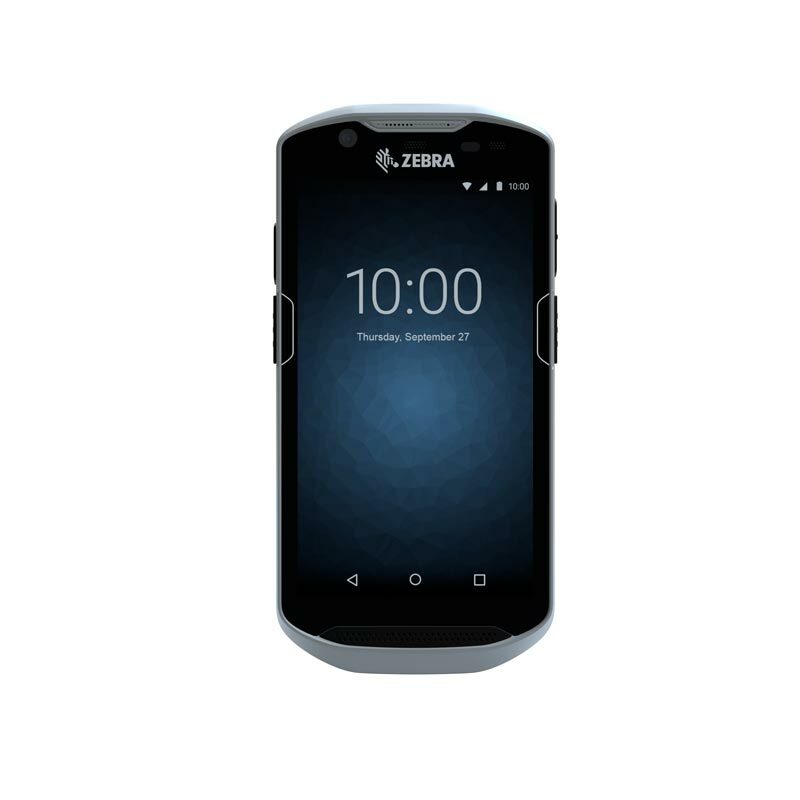 For premium data and voice communication, the TC52 and TC57 handheld computer terminals by Zebra provide WiFi with MU-MIMO network technology for ultimate WiFi speed and range as well as network capacity. The smart devices also come with Bluetooth 5.0 BLE class II with 240 m range and up to 2 Mbps speed. The TC57 is also equipped with LTE (Voice-over-LTE-enabled) and GPS. Both devices feature high-performance microphones and speakers as well as noise suppression technology ensuring excellent voice communication. Experience the new generation of handheld mobile computers for business – the TC52 and the TC57 by Zebra combine advanced communication, powerful data capture and optimal usability.